Stranger of Sword City is what seems like a pretty good dungeon crawler which just released on Steam. The port is decent (should run on a toaster, good input support), and the 2D art is gorgeous, but the 3D dungeons are rendered at 720p internally. No one seems to have noticed, which is probably due to the general low detail and contrast of these backdrops and the fact that you concentrate on 2D stuff during the actual gameplay. Nonetheless, it bothered me, so I fixed it. The fix was actually a bit more complicated than I had anticipated, since the game really sends of all 2D rendering with hard-coded coordinates in a 1280×720 system. Adjusting that resulted in 2D artifacting on continuous surfaces rendered at tiles which people might recognize from playing games at larger than native resolution in emulators. I worked around this issue by some rather ad-hoc texture coordinate hacking, but the current result looks pretty good to me. Since I don’t want to spend much time on this the plugin is limited to a hardcoded internal rendering resolution of 3840×2160 (replacing the native 1280×720) – even at that resolution the game uses less than 15% of my 970, so most people on gaming PCs should be fine. Otherwise, you can simply not use GeDoSaTo for the game. Getting this plugin to people easily and timely also forced me to push a lot of commits which were more experimental in nature (rather than sort through them all manually), meaning in practice that some stuff might be broken in this version. It might be a better idea not to update for now if you don’t want to play Stranger of Sword City. If you are interested, you can get the latest version including this plugin by updating from within GeDoSaTo or with the installer provided here. As always, you can donate to support continuing GeDoSaTo development here. 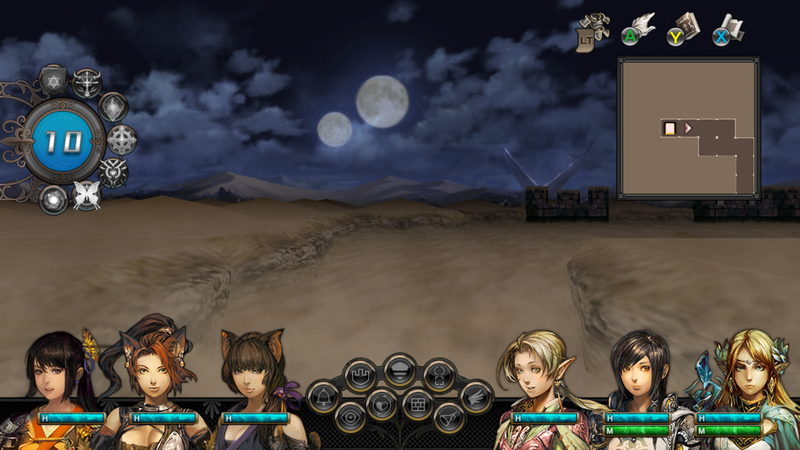 This entry was posted in Uncategorized and tagged gedosato, plugin, resolution, stranger of sword city by petert. Bookmark the permalink. Hey. i downloaded this and ran it, was messing with the window size settings because im on Ultrawide. Now Stranger of Sword City starts in such a huge resolution, i cant see any of the options to actually change any of them. Deleting the Gedosato folder and restarting still had the same issue. And then completely deleting Stranger of Sword city and installing it again…..Same issue, with no gedosato. I can NOT get this game back to a resolution where i can see the settings. What do i need to do to actually revert it? That should be fixed in the latest version. Did you update to the latest version again? That should hopefully be fixed. Let me know if not!